About a month ago, I read a blog post from one of my favorite bands. Well, to be honest, I read an awkwardly worded Google translation of a post from the Zoobombs website. If I understood it right, the band have decided, after roughly two decades, to put an end to the Zoobombs legacy. With the departure of two key band members, the remaining Zoobombs have decided that it is best to bring this chapter to a close and to begin anew. I think I agree with them. It’s never fun to say goodbye to your favorite bands, especially the ones you never had a chance to see in person. But in most cases, it is inevitable, we all know that. 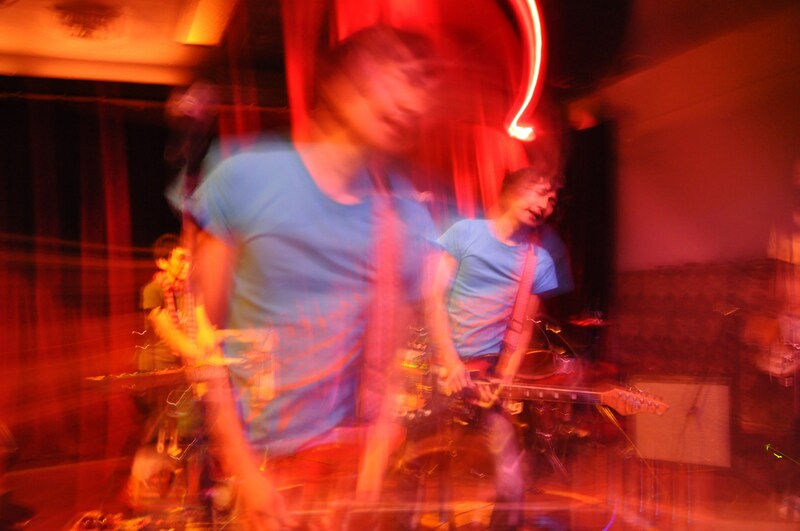 (Thankfully, I finally did get to see Zoobombs — about a year ago, here in Columbus — after missing their apparently phenomenal set at Canadian Music Week in 2011. And while the local turnout was, honestly, pathetic, it was one of the best shows I’ve ever seen.) We want to wish all of those Zoobombs the best of luck with their future projects. I have all the confidence in the world that they will be every bit as good as the epic garage-psych freakouts that made Zoobombs’ shows the stuff of legend. All of which brings me to a second point. This is something I don’t often do, but I am issuing what, in the academic world might be called “A Call for Submissions”. Of course, we’ve always encouraged all bands to send us their music, and we get dozens of submissions every week. But those submissions, not surprisingly, skew toward Europe and North America. And while that leaves us with plenty of good material to work with, I also know the world is a big place and there’s much more out there and I don’t want this blog to remain US/Euro-centric if it doesn’t have to. I know there’s a burgeoning punk/DIY scene in China (I’m pretty sure I’ve talked about Hedgehog here before) and I know there’s more to Korean music than K-Pop and “Gangnam Style” (remember all my gushing about Vidulgi OoyoO?) and of course I’ve just done a whole thing about Japanese psychedelia. And, for that matter, Tuareg and African blues bands have been experiencing a surge in popularity here in Columbus recently. The point is, I know you all are out there, and I would love to hear from you. There are a few Korean and Chinese blogs and YouTube channels I catch up with when I can, but it’s difficult to even do that more than once every few months. So, please, email us at the.indie.handbook@gmail.com. We’re dying to expand our horizons. P.S. Don’t worry about any language barrier. As long as I can hear the music, that is all I need. Google Translate and I will do the best we can with the rest. BUT, when you email, please at least try to include words like “band”, “music”, or “press release” in English in the subject line, just in case they get sent to the spam folder. That way, I will know to rescue them. God only knows how many submissions and press releases I have lost because they were written in an alphabet or character set I do not understand. Earlier this year, I interviewed jazz guitar legend Bill Frisell about a memorial concert he was curating in memorial of his longtime friend and collaborator Paul Motian. That concert has long since come and gone, but I’m not sure I ever shared the full transcript of the interview with you. At the time, I remember, I just wanted to play the recording of our conversation for everyone I knew, simply because it was so surreal. The man has been in business for a long time. The stories he can–and does–tell are remarkable. He’s played an integral role in the last 30 years of jazz. There’s no downplaying his experiences or their importance in the oral history of an American art form. And as I sat in my car, engine off, tape running, fingers freezing, praying my notoriously spotty cell phone reception wouldn’t suddenly drop the most interesting phone call of my life, I had to constantly remind myself that this was for real. Of course, it wasn’t practical at the time, to give you all the full interview. But I think the things he says, especially about his introduction to jazz and that very first session with Paul Motian are just too important to keep to myself. 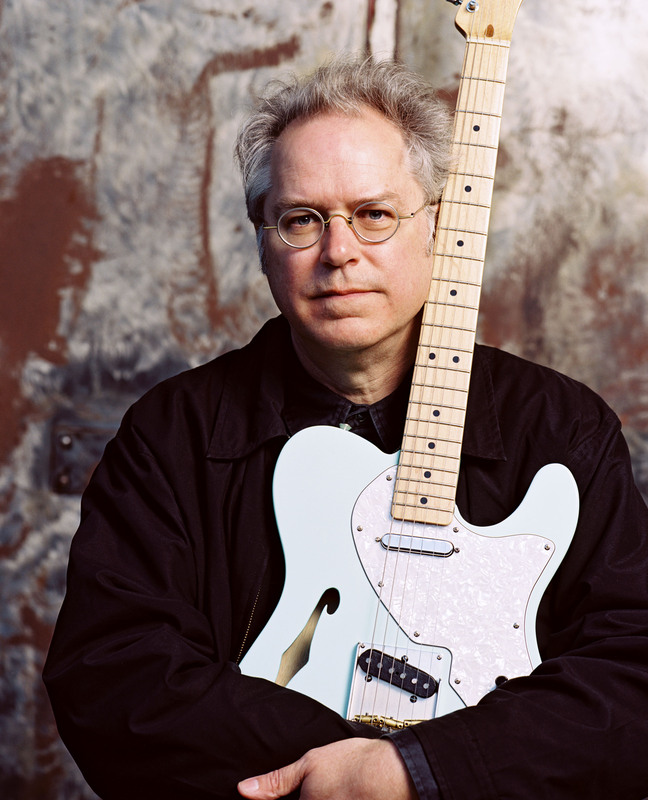 But now, with the news that Bill will bring his Big Sur Quintet to the Wexner Center in Columbus this December, I think this is a good time to bring you the rest of my interview with Bill Frisell. From an interview conducted in March 2013.